When Hank went to Loyola Marymount, the head coach at the time was Paul Westhead. His style of basketball was known as “the system”, which constituted as fast-passed basketball with limiting ball possession on each play to about 10 seconds, sometimes even less. 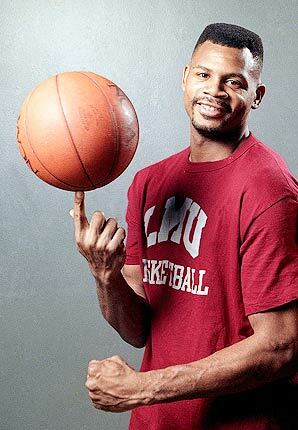 Hank Gathers flourished in this system because it was similar to the basketball that he played back in Philadelphia. His environment helped him flourish, yet his body was betraying him. In the 1989-1990 season, Hank Gathers was diagnosed with an Enlarged Heart. Doctors then advised Hank to lessen his workload and take medication for his condition. Hank, however, noticed that the medication made his game sluggish, and therefore cut down on medication. His mentality at this point was that “I will conquer this.” Hank pushed himself even further than he did before. He wanted to overcome his weakness and he felt that the only way he could do that was to work even harder. 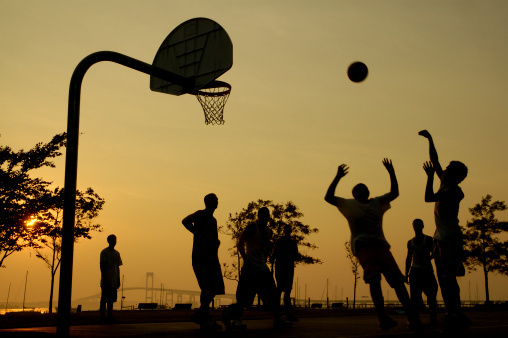 His steadfastness was because he loved the game of basketball and wanted to shine. Yet, Fate wouldn’t let him succeed. On March 4,1990, Loyola Marymount was versing Portland in the W.C.C. tournament’s quarterfinal game. It was like any game that Loyola Marymount played. They start implementing the system. Hank receives an ally-oop pass and slams it down. The crowd is ecstatic and cheering for Hank. Hank then slowly walks to the middle of the court and collapses. The Gym goes silent, nobody willing to make a sound. Hank is then surrounded by the medical staff telling him that he needs to lay down. He then tells them, ” I don’t want to lay down”. Then, that was it. Hank Gathers was no more. He died before fulfilling his desired goal, but he left his mark on the history of basketball. Even though his memory was no more, his love for the game of Basketball still lives on. A Person isn’t truly dead if he is someone who leaves his mark on society and people remember him for that. Hank’s love for what he did was evident in how he played the game and he touched everyone around him. His best friend, Bo Kimble, who grew up with Hank and played College Basketball together, who he himself considered Hank as his brother, honored Hank by shooting Free-throws left-handed. Hank, before he died,was trying to improve his freethrow percentage so he started shooting with his left-hand instead of his right. Hank wanted to improve himself in every aspect of Basketball that he could possibly be capable of improving. He truly loved the game of Basketball, and Bo Kimble honored the love Hank had for Basketball and to his own self. Hank passed away when he was 23 years old. That is considered to be a very young age to pass away. 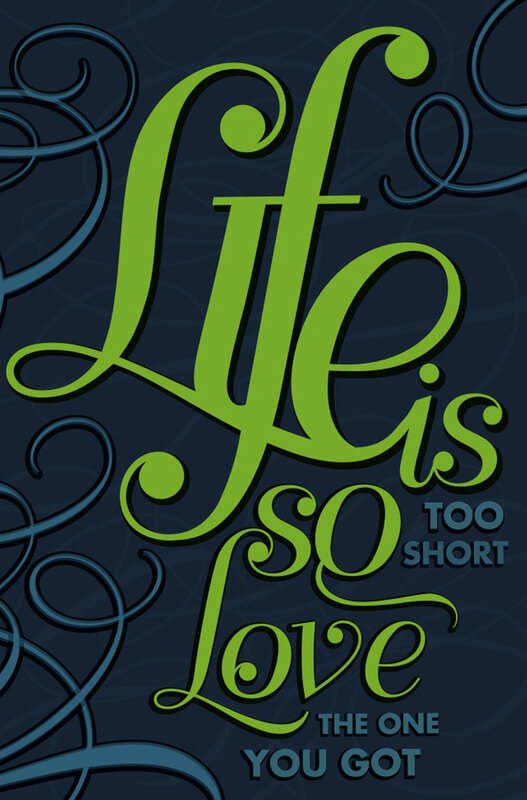 Yet, we see in him that Death can take us at any moment and we therefore have to strive in what we do. Hank excelled at Basketball because he loved the game of Basketball. When you love something, you will excel at it. We need to emulate what Hank Gathers possessed. In whatever we do, show your love of doing it. In doing so, you carry on Hank Gathers memory, making him live on through our own selves. P.S: This is the Documentary I watched if you would like to see it. This entry was tagged Basketball, Bo Kimble, Do what you Love, Hank, Hank Gathers, Love, Loyola Marymount, Loyola Marymount University, Paul Westhead, Perseverance, Philadelphia.